Our client was creating a brand-new luxury clothing line made mostly from bamboo. They had no brand or identity at all. All they had was a name (Kane'Ohe) and a passion—both inspired by the island lifestyle of Hawaii. We were tasked with branding Kane'Ohe from scratch. 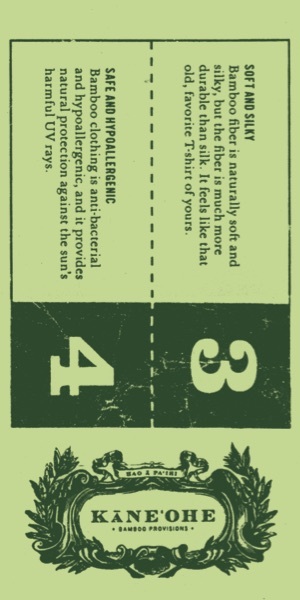 It started with a manifesto; a doctrine conveying the passion and philosophy behind the brand. 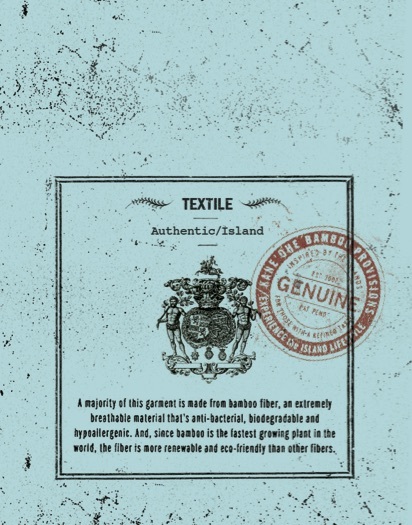 The client loved it so much, they insisted it become a consumer-facing story—one that lived, among other places, on their clothing tags. The logo became an emblem exemplifying the natural luxury of the brand. Through research, I found the phrase Hao a Pa'ihi, which, when translated from the Hawaiian, means "To dress up, as in one's best." This became part of the logo. Below, you'll find logo treatments along with an identity package. 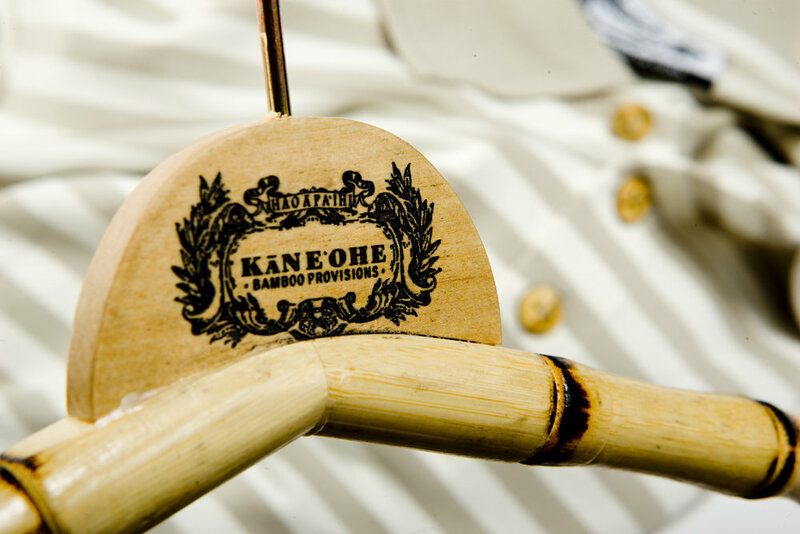 Collateral leave-behinds further explained the Kane'Ohe mantra, proving to boutiques and other larger merchandisers that carrying the clothing line was a worthy (and profitable) venture. We designed and constructed this trade-show booth for one of the larger textile expos to create more awareness among merchandisers.